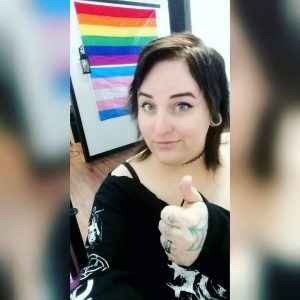 Because of the overwhelming interest, we were not able to let everyone who wanted to participate find time to be fit in before our Ink4Autism fundraiser began on 4/1, so we have decided to have our Paw Print Fundraiser continue through April 30th as well as run our usual April fundraiser for Autism Awareness month! HBA is making April filled with fun ways to give back! 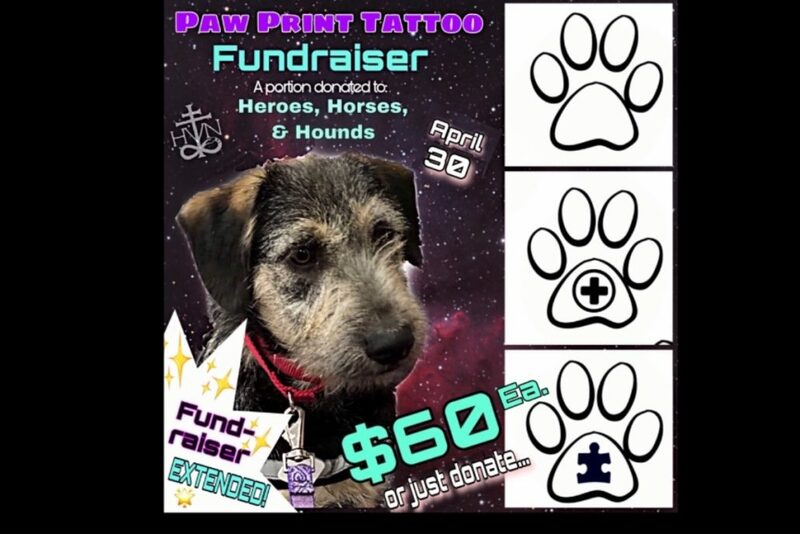 Get one of these Paw Print Tattoos until April 30th & help us pay for this Rescue Dog, BALOO, to be trained as a Service Dog to be gifted to a Local Autistic Child, from our amazing friends at Heroes, Horses and Hounds! A portion of ea. $60 Paw print will be donated to this Non Profit. Thank You to everyone who has also just been donating to Baloo’s training even though not getting a tattoo!? We have started a GoFundMe page for additional donations to our fundraiser. We want to thank everyone that has come in and donated through getting one of our paw print designs and all of our other customers for leaving donations while in the studio. 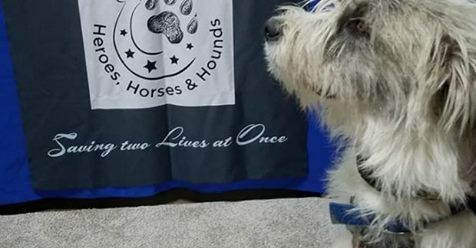 THANK YOU WHMP for interviewing the ladies from Heroes Horses & Hounds & bringing attention to our Paw Print Tattoo fundraiser! Listen here to this amazingly positive & informative interview! ???? 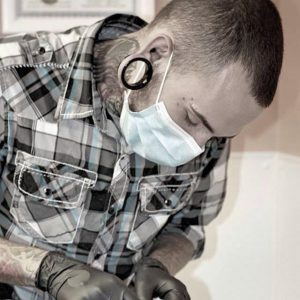 April is national autism awareness month, & for the 7th year in a row, Haven Body Arts is participating in INK 4 AUTISM, where we celebrate those in our lives that are on the Autism spectrum by permanently showing our support by getting tattooed & donating a portion of the proceeds to local Autism non-profits. This year both Erin & Natalie will be offering tattoos off of our Autism Awareness Flash Sheets. We will have three flash sheets this year in hopes that everyone can find something they like in a price range that you are comfortable with… If you would like to get a custom Autism related tattoo, rather then our Flash, a portion of all the proceeds will be donated for our 3rd year to Autism Connections in Easthampton Ma. keeping our support more local. Call or come in to book an appointment & help us give back to those who have been touched by loved ones on the autism spectrum. 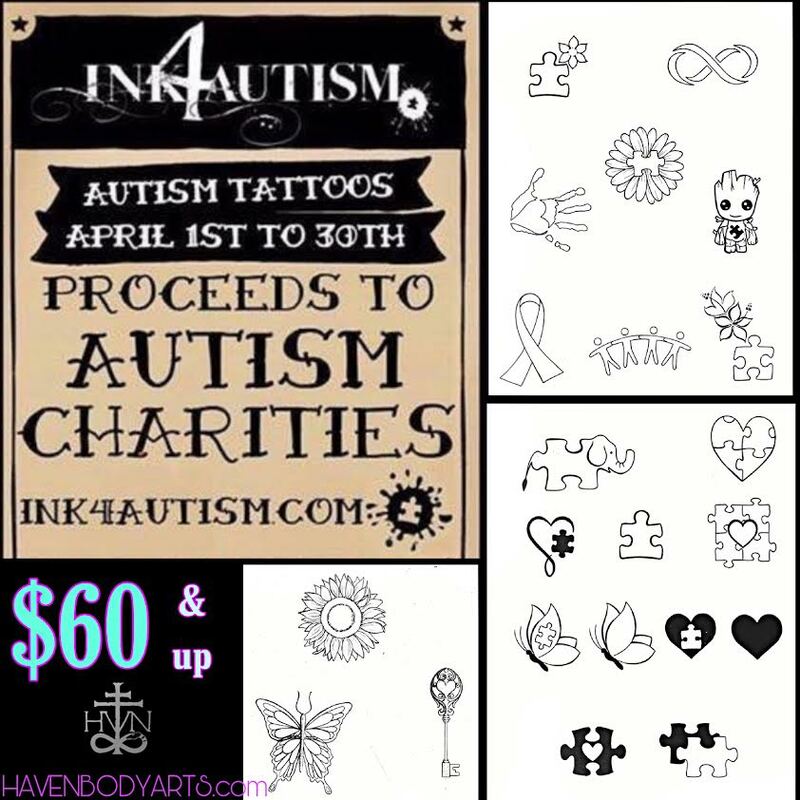 Ink4Autism is a fundraising campaign that encourages tattoo shops and artists to partner with local non-profit autism charities, programs and/or organizations to help support those on the autism spectrum during the month of April which is Autism Awareness Month. Since 2012 over 250 participating shops have raised over $100,000 and has spread to a worldwide movement in support of those on the autism spectrum. For this discounted rate, & donation the flash tattoos must be done EXACTLY as seen here with the exception of adding color (for a small additional fee)! If you prefer, you can bring in artwork of your own or you can have either Erin or Natalie help to create you a custom design and HBA will still donate a portion of the proceeds of all Autism related tattoos to Autism Connection in Easthampton Ma. for the whole month of April! Click photo to view Penelope’s piercing profile. Click photo to view Jay’s piercing profile. Click photo to view Cau’s tattoo profile. 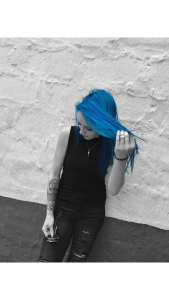 Click photo to view Erin’s tattoo profile. Click photo to view Natalie’s tattoo profile. 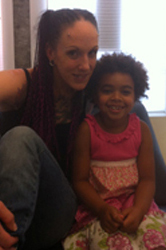 Children like piercings too! Click above to see our HBA kids! The “Woozy Wall” is a dedication to those clients who got a little lightheaded after their piercing. 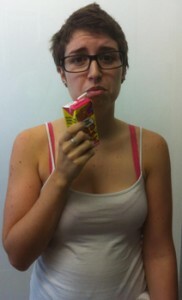 Some of our clients are nice enough to let us take their picture before we sent them off, juice box in hand.